A university don, Dr Chile Ngusha, has said former Vice President, Abubakar Atiku could turn Nigeria around for the betterment of its citizens if he is elected President in 2019. 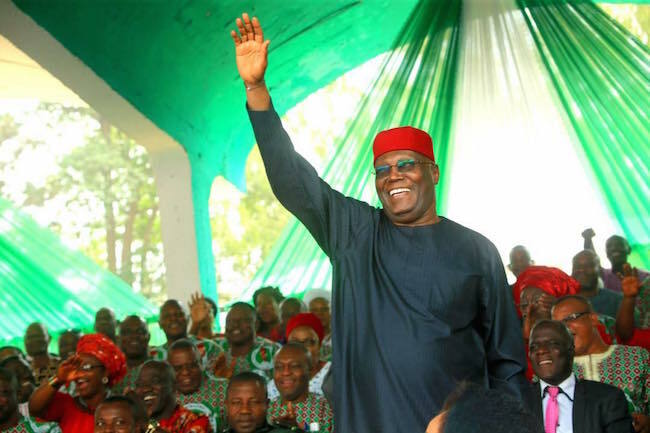 Ngusha in an interview with Daily Trust correspondent in Makurdi at the weekend opined that Atiku's pedigree stands out among other aspirants already nursing the idea of occupying the country's foremost seat of power in the forthcoming election. "At the time he (Atiku) was in power, he was saddled with lots of responsibilities which he delivered. This kind of person at the helm of affairs in this country means Nigeria will become a better place," he said. Ngusha who is a lecturer at the Department of Mass Communication in the Benue State University (BSU), explained that the track records of the former vice president was enough to testified about him before the electorates.